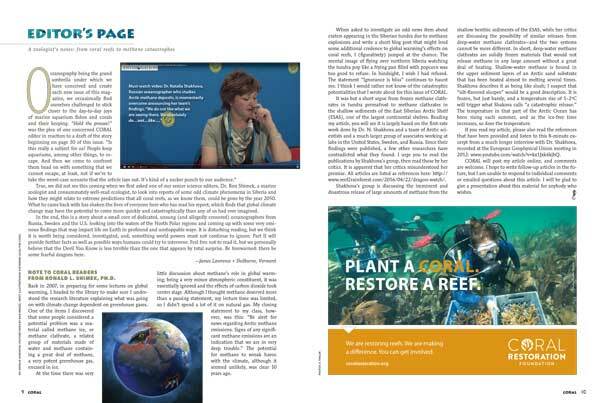 CORAL Magazine, May/June 2016 issue – Click cover to order a single copy direct from the publisher. 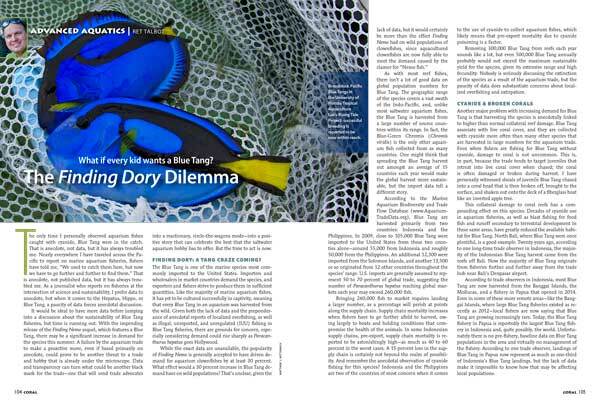 The May/June 2016 Issue of CORAL Magazine is printed and now delivering to subscribers, local aquarium shops and select bookstores. 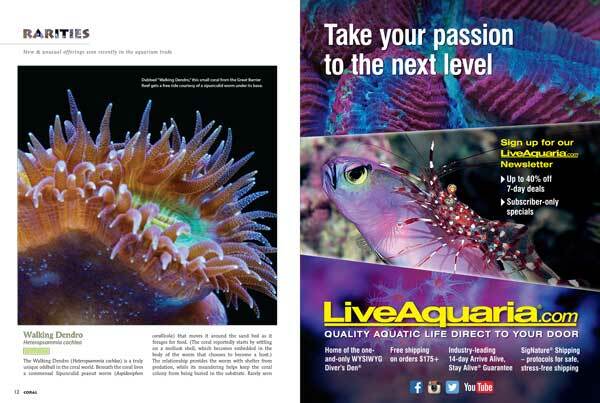 On sale date: May 3, 2016 at the best marine aquarium retail stores and leading Barnes & Noble stores everywhere. 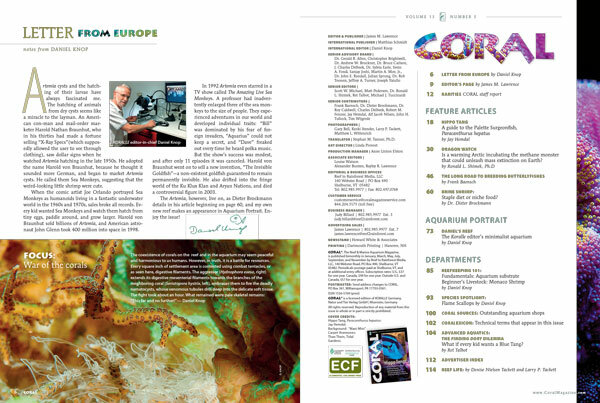 International Editor Daniel Knop introduces a new Artemia (Brine Shrimp) Guide, and our table of contents highlights the other features of the newest issue of CORAL Magazine. “We did not see this coming when we first asked senior science editor Dr. Ron Shimek…to look into reports of some odd climate phenomena in Siberia and how they might relate to extreme predictions that all coral reefs…could be gone by 2050. 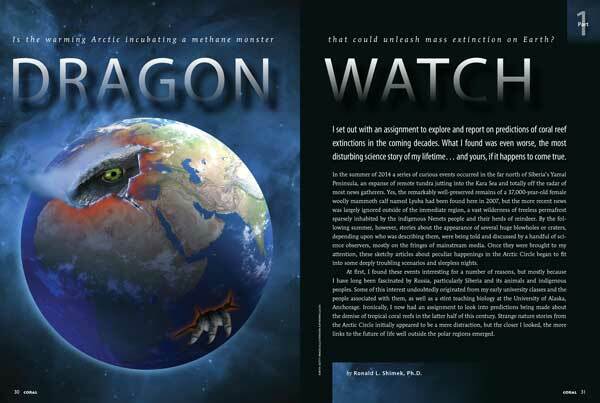 What he came back with has shaken the lives of everyone here who has read his report.” – Editor James M. Lawrence, introducing the profound series “Dragon Watch” which starts in this issue of CORAL Magazine. Rarities shares new and unusual offerings recently seen in the aquarium trade. In this installment: Walking Dendros (Heteropsammia cochlea), the Bandit Angelfish (Apolemichthys arcuatus), and Bullseye “Bounce” Mushrooms (Rhodactis inchoata). 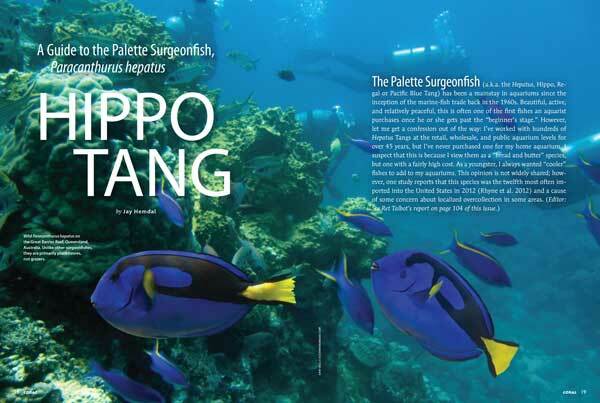 “The Palette Surgeonfish has been a mainstay in aquariums since the inception of the marine-fish trade back in the 1960s.” Learn more about the Regal or Blue Tang, Paracanthurus hepatus, in this comprehensive review from public aquarist Jay Hemdal. “Every group of captive-bred marine fish was difficult to breed at one time, even the first clownfish. 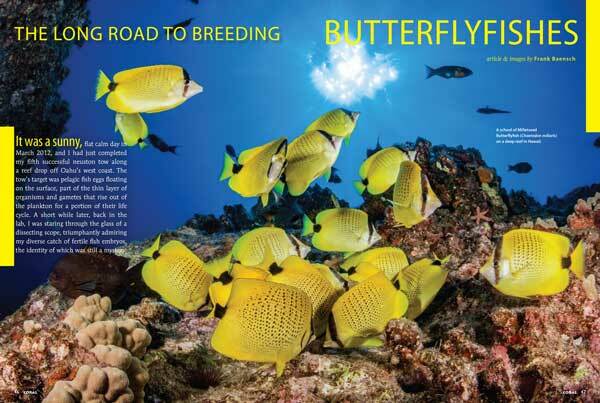 This research sheds some light on the various culture bottlenecks of another really valuable group of fishes [Butterflyfishes] and brings us one stop closer to making their aquaculture a reality.” Learn more about the world’s first captive-bred Chaetodontids in “The Long Road To Breeding Butterflyfishes,” by Frank Baensch. 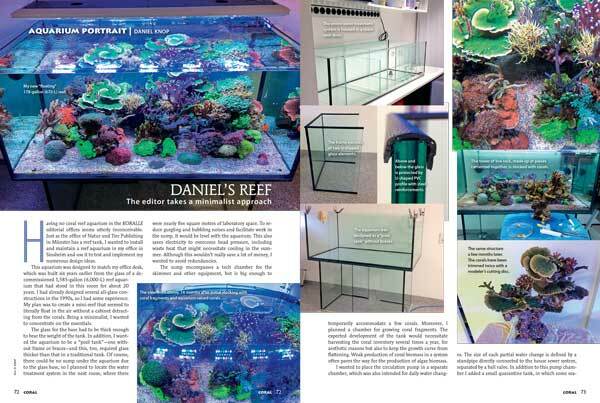 Although we’ve featured it twice online: “Daniel’s Reef,” the Koralle editor’s office aquarium, is finally revealed in the pages of the magazine. It is still a work-in-progress, but with a fascinating minimalist/modular aquascaping approach revealed in this Aquarium Portrait tell-all! 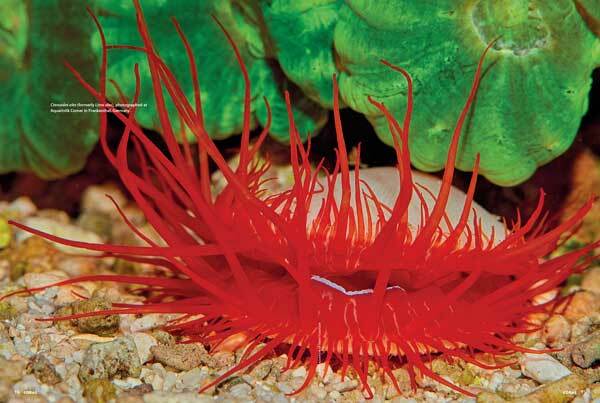 CORAL Magaazine’s species spotlight shines on a group of file clams collectively known as the Flame Scallops. There are so many more species than you ever thought, but they can be very difficult to maintain in a mixed coral reef aquarium. Read to find out why.